Thank you so much for all your help. I will definitely be using you and referring your services in the future. Great guy and excellent business practices. You’re the best! Adam is unequivocally the best accountant with which I have ever worked. He has always been extremely responsive and willing to walk me step-by-step through how best to approach my taxes despite numerous changes to my burdens each year. As a young physician, who is married to a working professional, I have neither the skills nor the time to fully comprehend my appropriate filings and tax responsibilities. It is an invaluable asset to have someone as sharp and talented as Adam looking after my taxes and making sure that I not only file properly, but also that I get back the largest return possible. For someone like me who doesn’t care for the details of taxes, Adam has always been most helpful in his simple, yet professional approach to interacting with customers. I have always felt his genuine concern for his customers and have personally benefited greatly from all of his advice. This past year we had a baby, moved to a new place, and started a new job, and the idea of trying to figure out how to do our taxes with all these new components in our lives was overwhelming. Working with Adam brought complete peace of mind. 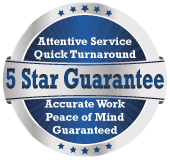 He was thorough, communicated exactly what information he needed from us, and handled the entire process professionally and quickly. He was definitely a Godsend!